Sonix brand Clear Coat series Shell Case for Samsung Galaxy S7. 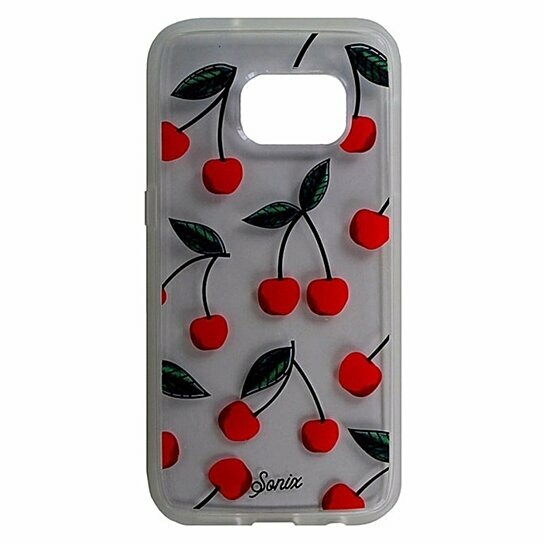 Transparent Clear finish with cherries design. Clear back, hard outter shell, shock absorbent rubber sides, and anti-scratch coating.